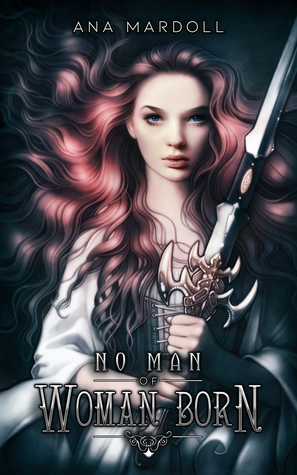 No Man of Woman Born is a fantasy short story collection featuring trans and nonbinary protagonists. The majority of stories in the collection deal with gender-specific prophecies and trans people’s ability to subvert them. My main problem with a lot of the stories was the clunky integration of backstory. Since most of these stories deal with prophecy, they pretty much all have some sort of backstory about how the prophecy came to be. This information wasn’t always worked in well, and it often slowed down the pacing of the stories. I think the story “His Father’s Son” handled the backstory issue most effectively, by using flashbacks to the protagonist’s past, where a warlord killed most of his family, as a soothsayer said that the warlord could only be killed by a man of our hero’s family. But he overlooks the hero of our story, assuming that he’s a girl. In attempting to stop the prophecy from coming true, the warlord creates a son hellbent on gaining vengeance for his father. I also thought the world building of this story was more unique than the others, which tended towards a generic medieval fantasy. My second favorite story has to be “Early to Rise,” an aromantic, gender-fluid take on the “Sleeping Beauty” tale. The fairy cast a very gender-specific spell on who would fall asleep until true love’s kiss… so what happens when the royal in question is gender-fluid? I really love that Mardoll had an aromantic protagonist and explored the problem of making “true love” (which, let’s be real, is code for “romantic love”) a condition for a happy ending, not only for the protagonist but for the entire kingdom! I didn’t enjoy the other stories as much, partly because of the backstory issue, partly because of the eventual repetitiveness of the prophecy format. I actually skipped “The Wish Giver,” which I’d read on Mardoll’s blog and wasn’t wowed by the first time around (I think the writing was too simplistic for me?). I did enjoy some of the subversion of “No Man of Woman Born,” where when prophecies declare that “no man of woman born” can kill the evil king, the resistance immediately starts training women and nonbinary people to fight. To be honest, I mostly read this collection because I follow Mardoll on Twitter and tend to enjoy xie’s commentary. If I was ever to go back to this collection, “His Father’s Son” and “Early to Rise” would be the only stories I’d reread.